Electronic plants have aroused intense interest all over the world. 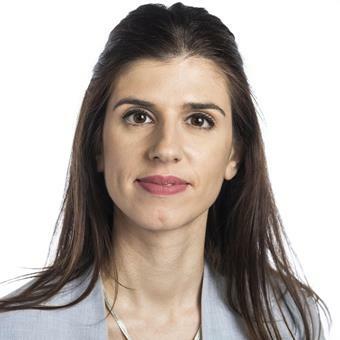 Eleni Stavrinidou, principal investigator in this field at the Laboratory of Organic Electronics, has been awarded EUR 3.3 million for the Horizon 2020 project HyPhOE. Eleni Stavrinidou Photo credit: Thor Balkhed“HyPhOE” is an acronym for “Hybrid Electronics based on Photosyntehetic Organisms” and the project aims to develop three systems: new energy systems based on electronic plants and photosynthetic organisms, bioelectronic systems that can control the growth of plants, and systems for environmental monitoring with the aid of plants that have been given extra electronic functions. “We are truly excited to have received such a large and important research grant in the field of electronic plants,” says Eleni Stavrinidou, coordinator of the project, which is planned to start in September this year. It is hoped that the project will make major contributions not only within urban development but also within forestry and agriculture. In addition to researchers at LiU’s Laboratory of Organic Electronics, Campus Norrköping, researchers at several other institutions are participating. These include the Umeå Plant Science Center, Sweden, the University of Bari, Italy and two institutes in France: the Institut Polytechnique de Bordeaux and the Université Paris Diderot. These collaborators contribute knowledge and expertise within, for example, chemistry, materials science, photosynthetic bacteria, plant biology and ecology. The project has been awarded more than EUR 3.3 million for three years from the EU Horizon 2020 programme for Future and Emerging Technologies (FET-Open). This programme supports visionary research to create future technology, and only 2% of applications are awarded grants. This is the first project at LiU to be awarded funds within the FET-Open programme. Eleni Stavrinidou leads a research group at the Laboratory of Organic Electronics working with electronic plants. The research has led to a completely new multidisciplinary field of research with a huge potential benefit to society. Electronic plants (E-Plants) is an organic bioelectronics platform that allows electronic interface with living plants.